City Wide Construction has built an outstanding reputation in home renovations and new construction. From the ground up, they have worked on projects involving complete reconstructing of homes, remodeling for a more modern look. City Wide Construction has added dormers, using licensed architects, engineers, plumbers and electrician for all required plans, acquiring all necessary permits required for the projects. This company has all the innovative ideas for all aspects of any modern renovation. 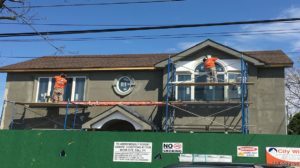 City Wide Construction is a fully licensed and insured company serving all of Queens, Brooklyn, Staten Island and Nassau County. Whatever the project size they do it all. This project, location in Howard Beach was an addition of a new dormer and modern renovation to this home. Demolition and new design was done to the existing home, framing, insulation and drywall of the new dormer and new roof installed. Placement of new windows with a unique modern updated renovation of the home kitchen and bathroom. This new remodel home has a great appearance to the modern day looks of home renovations.